At Burt Harriman, Attorney at Law, LLC, we stand up for the rights of people in Lexington and throughout Missouri in personal injury, criminal defense and family law cases. We believe in giving people the facts necessary to make informed decisions about their personal injury, criminal defense or family law case. That means spending time at the start of every case going over time frames, options and potential outcomes. We offer the guidance necessary for the people we represent to make informed, intelligent decisions. Then we take the steps needed to execute those decisions properly. 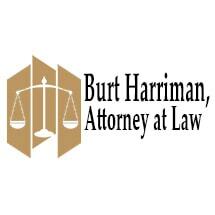 At Burt Harriman, Attorney at Law, LLC, we practice law with a personal touch. When you come to our law firm, you will work directly with attorney Burt Harriman and his paralegal. You will have no trouble getting in touch with us at any point. In fact, you will find that we will proactively stay in communication with you. Have you or a loved one suffered a personal injury because of an act of negligence, such as a car accident? Have you been accused of a crime? Do you need help with a family law matter? We encourage you to come to our law firm for legal representation with a personal touch.